Waveguide Networks Inc is a Telecommunications company located in Snohomish, Washington, United States. We help our customers find solutions to their fiber optic needs by providing state-of-the-art service and delivering quality results. This focus has served us since 2002 when we began established the company in the Pacific Northwest, and we have served customers in Washington, Oregon, Idaho and Alaska. 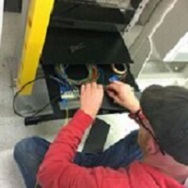 We specialize in the supply, placement, splicing, testing of Fiber Optic cable and responding to Emergency Restoration for all Telecommunications applications. We invite you to learn more about our services and what makes Waveguide Networks the first choice for all your fiber optics solutions.